For the Niagara Association of Homebrewers it’s all about great people, great fun and great beer. 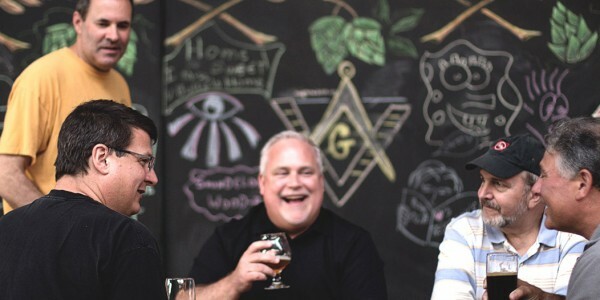 NAH prides itself on being a brewing club, not just a social drinking club. All of our members are active homebrewers. Some make a couple of batches a year, some make dozens, but we all love homebrewing. We share our skills with and learn from one other. We meet once a month at Crazy Jake’s in North Tonawanda for a business meeting on the 4th Tuesday of every month. We meet once a month for a social meeting on the 2nd Tuesday of every month at a rotating bar in the greater Buffalo-Niagara region. We also have several large social events per year. These are open to guests with some being family friendly as well. Sign up for our mailing list to receive emails on monthly meetings and other club events. The Niagara Association of Homebrewers was started over 15 years ago. We have become a central focus in the homebrewing community. 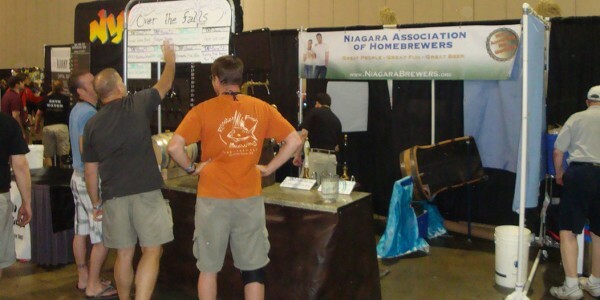 NAH members have become the leaders in teaching homebrewing in the Buffalo / Niagara area. We are also active in the community providing volunteers in all of the fund raising beer festivals including Buffalo Brewfest, the Art of Beer at the Niagara Art and Cultural Center, and Beerology at the Buffalo Science Museum. We have a large number of certified beer judges in our club, including 1 Master beer judge and 8 National beer judges (more than some states have). 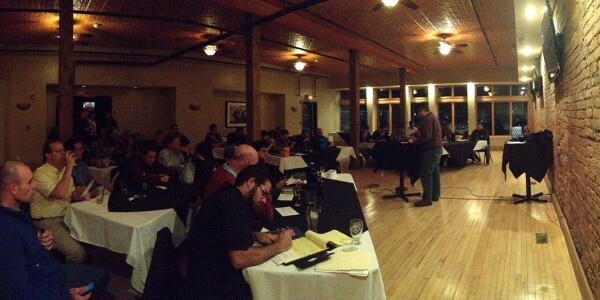 We hold an annual tasting exam as well as training classes to help develop those interested in becoming BJCP certified. Our members form the core of the Amber Waves of Grain Homebrew competition, one of the largest in the country. We also have members that run the New York State Homebrewer of the Year competition. In addition, our many judges help to judge at numerous other area homebrew competitions in New York Pennsylvania, and Ohio. We have several fun events we run each year, including a summer brew in Flying Bison’s parking lot, our winter Holidaze potluck dinner/bottle exchange, and a “random trios” competition based around a different theme each year. Your level of participation in the educational and volunteer activities of the club is up to you. However, we hope that everyone participates in as many events as possible. 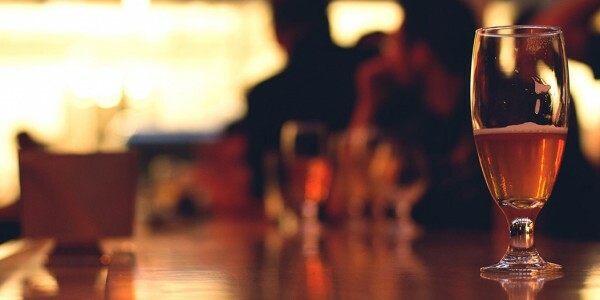 To become a member, you need to attend three business meetings (or two business meetings and a social). This gives you the opportunity to meet a lot of the member and for us to get to know you. During these meeting the general membership is looking to see you have that spark to contribute to the mission of the club. We have no “mold” to fill. The membership is diverse on many levels. Our bond is homebrewing. 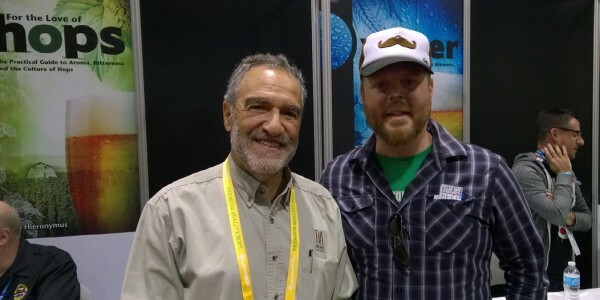 What we have learned is that most true homebrewers are great people. They are socially responsible and caring. So that is what we look for – good people who have a desire to learn and share. On your third meeting you are installed as a member of the club as long as there are no objections by the general membership. You will find it a pleasant process. And as soon as you are a member you are part of the process.